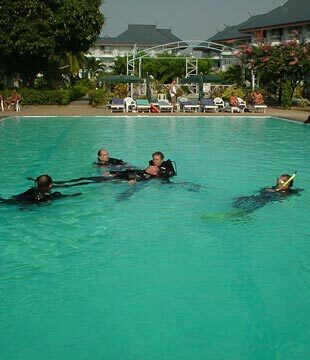 PADI Rescue Diver Course is designed for those who want to take the challenge and get a reward as well. If you are an advanced diver, it hones your capability of diving. Know details of scuba diving how to prevent problems, how to take the challenge to rescue someone if any situation takes place. You can master your fear and deal with some dangerous situation through this course. It will increase your rescue skills, accident management, problem prevention capability, equipment management. You will learn rescue process through video presentation by the instructor. Then get ready for practical exercise on ‘Tired diver on surface’ which is a rescue operation in a swimming pool. Some on board day trips in the Andaman Sea will be offered you to get the real experience. 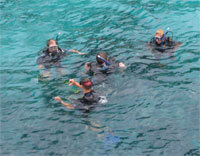 During this course, everything should be noted for learning and skill development of scuba diving.